Now that our front porch is looking good, we have been spending a lot more time outside, which means that my legs are pretty much covered in big red welts. Guys, mosquitoes LOVE me. I think to them, my legs look giant turkey legs and they just can't help themselves. Yes, now you can call me Turkey Legs. 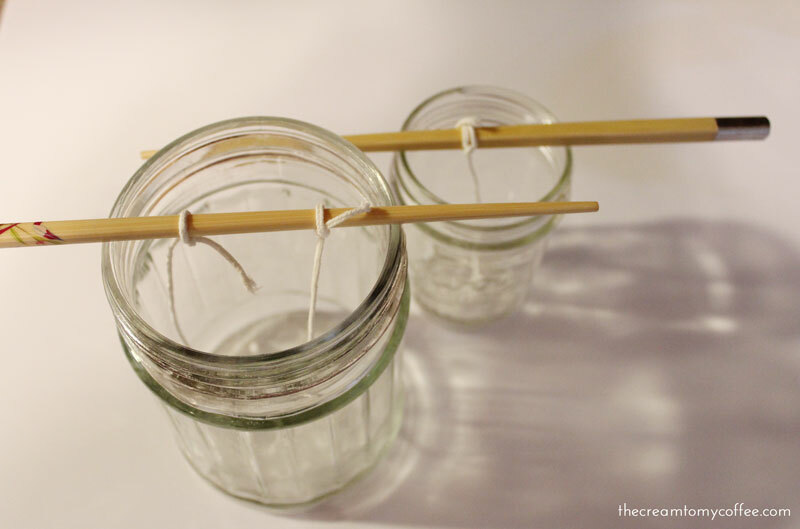 Step 1: Tie your wick around the chopstick and cut it to the length of your candle containers. Don't worry about the extra length at the top - you'll cut it later. Also, make sure the wick goes all the way down to the bottom of the container and stays as close to the middle as possible. 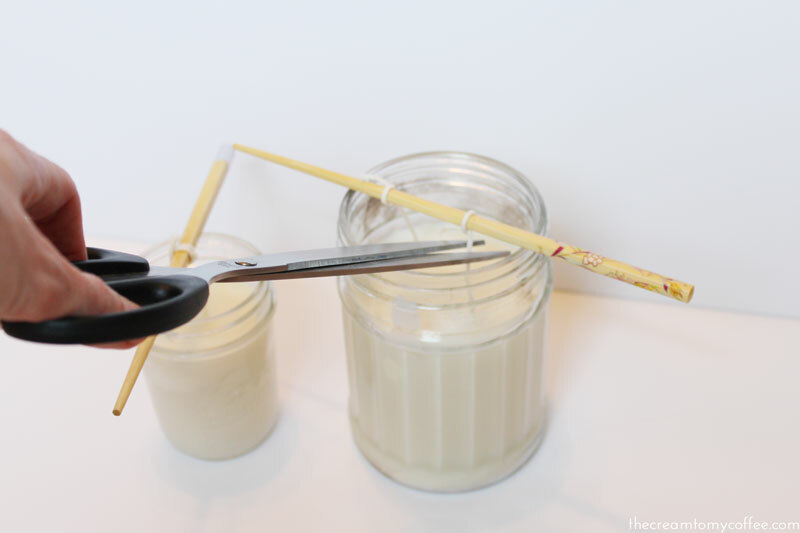 You can use hot glue to keep the wick in place. Step 3: Pour the hot wax into the containers. Try to disturb the wick as little as possible. 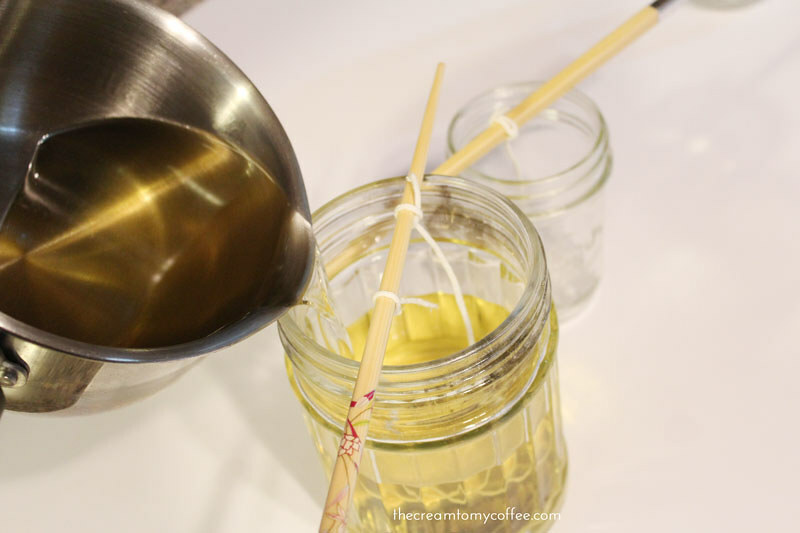 Add the citronella oil to each candle. I added a lot (probably 10-15 drops per candle). 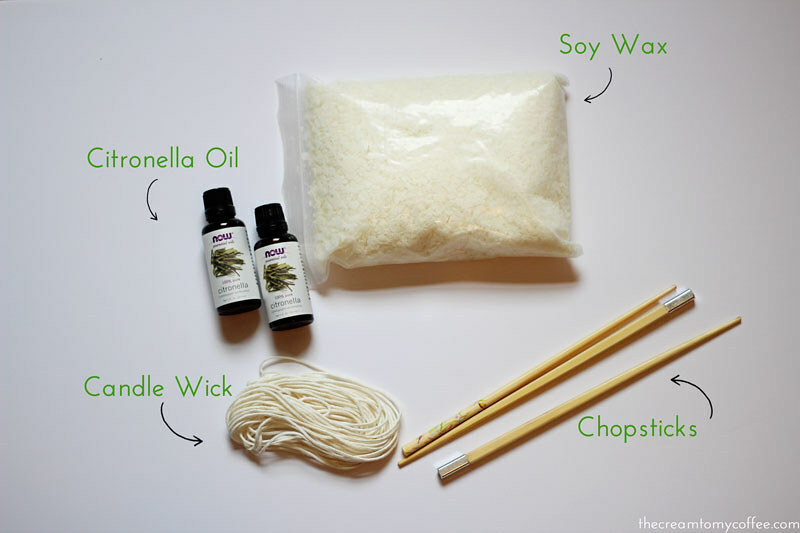 Step 4: Let the wax sit in your refrigerator until it hardens (2-5 hours). Step 5: Snip the candle wicks. Step 6: Enjoy the fruits of your labor. I am very happy with how the candles turned out. I love the way they smell and the wax is very solid (I thought adding a lot of oil might make them watery, but it didn't). I also have plenty of citronella oil left, so this might be a project I do every summer. Tell me, how do you keep the mosquitoes away? I love the idea to make your own. Nice job! Do they work really well? We have major problems with mosquitos and my daughters and I get eaten alive. I love making my own stuff and knowing exactly what is in them. Thanks for the great tutorial. Wow, good to know! I have such a problem with mosquitos! i have been bitten by one too many mosquitos this summer. i went out to buy a citronella candle for the first time ever but i can't stand the smell! 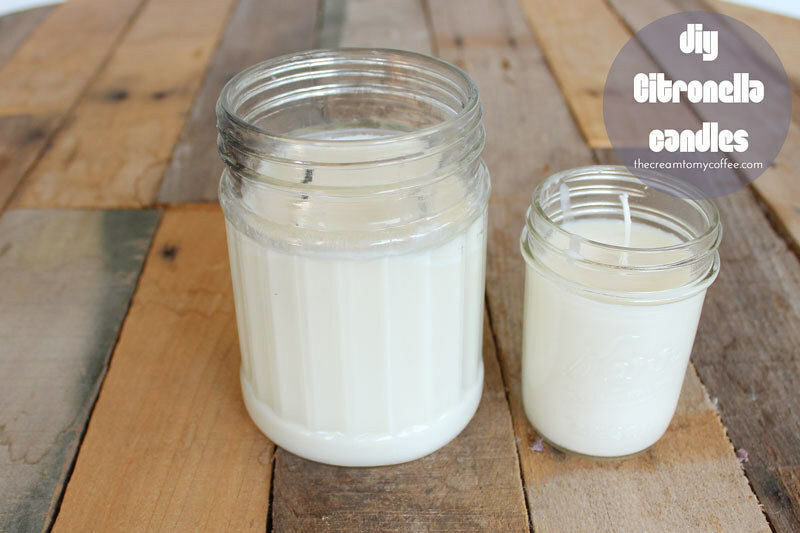 I've always told myself I'm going to make my own candles but never do, it just looks so easy! I'm a new follower on bloglovin and twitter. not sure how we aren't best friends already...My blog is called "But First, Coffee" !! How cool! 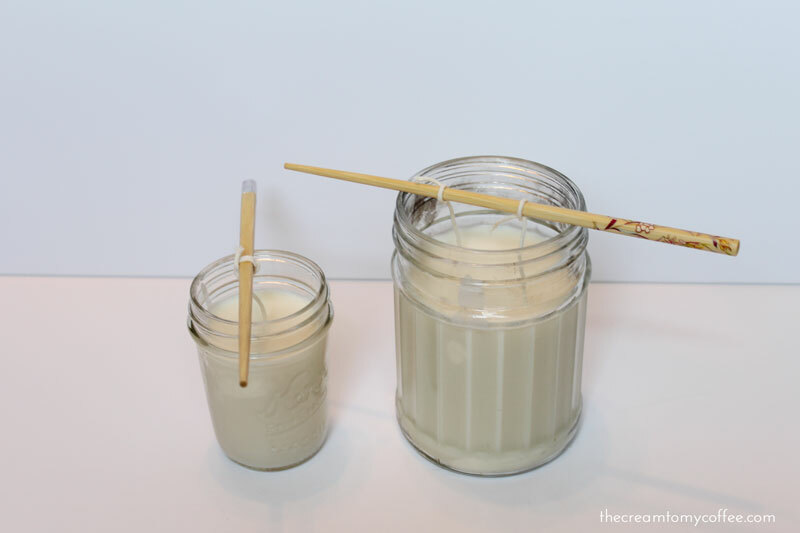 I have never tried to make my own candles, but now I want to! I love a good DIY project! I need this! The mosquitoes are horrible here in Texas! I get bit every time I step outside! I love candles. Will have to try this soon. Thank you for stopping by my blog and commenting. These look great! I'm curious if they work well at repelling bugs. The bugs are crazy here right now! oh, thanks for this post! i've been saving jars for a few months with the idea of making some candles for handmade christmas presents! it's nice to know a little more about the process! 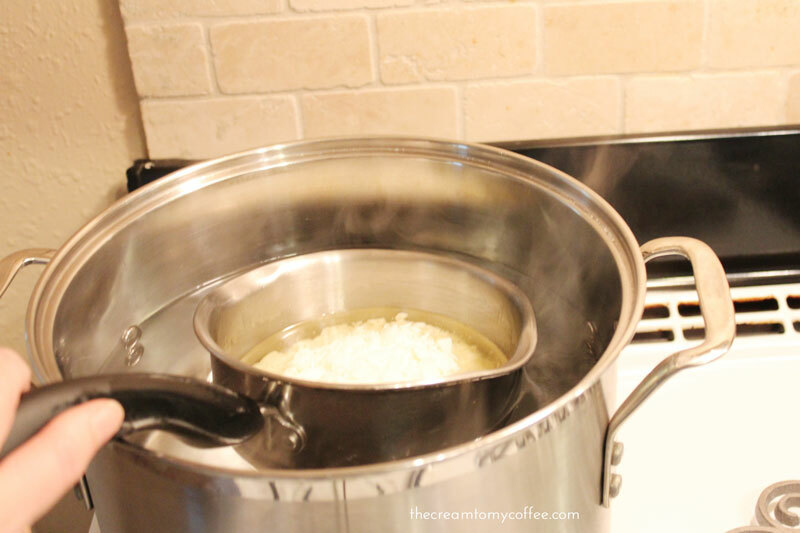 hey, did you just use any old pot? it cleaned up okay, no residues or anything to worry about? Good question! I actually used one of our regularly used pots. I cleaned it out immediately afterward and did not have any residue problems. However, I wish I had planned it out better - I would have picked up an old pot from the thrift store and used that instead. It will definitely worth either way though! perfect! i'll pop by a thrift store and grab a cheap-o pot! I want to do this! Teach me your ways!